Our super high-end stroller broke. Now what? Worldwide icon-chevron-right North America icon-chevron-right United States icon-chevron-right Illinois icon-chevron-right Chicago icon-chevron-right Our super high-end stroller broke. Now what? Depending on the brand and what sort of repair you need, you may not have to resort to shipping it back to the manufacturer. 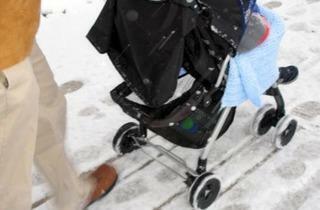 If you’ve got a flat tire or other simple problem with the wheels, try taking your stroller to a bike shop. Wicker Park’s Rapid Transit (1900 W North Ave, 773-227-2288) can replace wheel bearings and inner tubes while you wait. 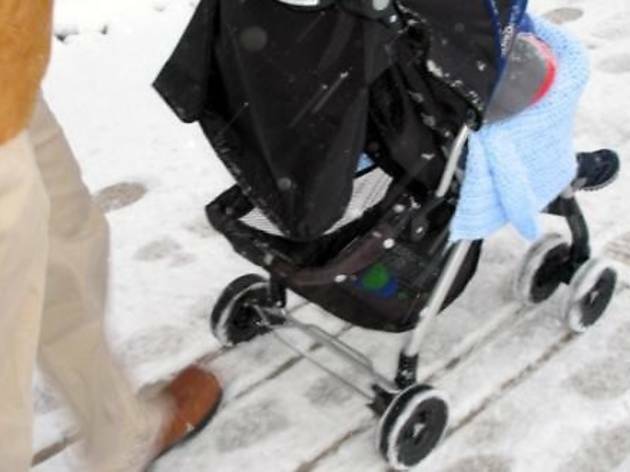 For repairs that require attention to other parts of the stroller, try the on-site stroller repair and service center at the Lincoln Park location of Galt Baby (1915 N Clybourn Ave, 773-327-9980; repairs available Tue and Thu–Sun from 1–7pm). Manager Jesse Trevino says the center has worked on “just about every stroller imaginable,” though it does have better success with lower-end models, which tend to have parts that are exposed rather than covered. An online search can turn up surprising results for authorized repair dealers: Peg Perego’s sole source in the city is Bell Television (4925 W Irving Park Rd, 773-282-4000). And if you bought your fancy Baby Jogger or BOB stroller from REI, you can bring it back to any of the outdoor outfitter’s in-house repair service centers.